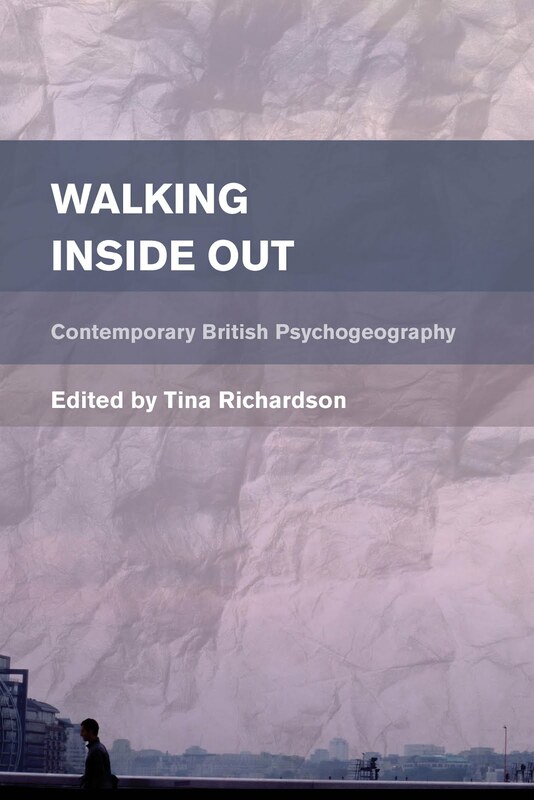 This week I was teaching spectatorship (and looking, seeing, viewing, the gaze and scopophilia - from a cultural perspective) to the MA students. 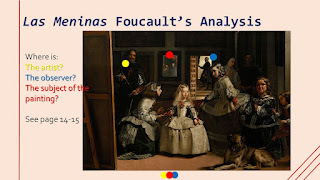 As well as looking at the usual suspects, like Laura Mulvey and John Berger, I also included Michel Foucault, since we had briefly looked at him the week before when discussing discourse analysis. I decided to use Foucault's analysis of Las Meninas (Velasquez 1656) in The Order of Things since it famously appears in an advert by the Spanish department store El Cortes Inglés (see below), and these are Fashion Enterprise and Society students after all. 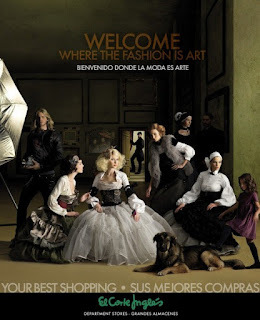 Foucault's Las Meninas lends itself well to a critique of lines of sight from both an art history and contemporary fashion advertisement perspective (although I was surprised, following a quick bit of research into published articles, that this model of Foucault's had not been used in advertising - maybe more research would reveal that not to be the case, though). 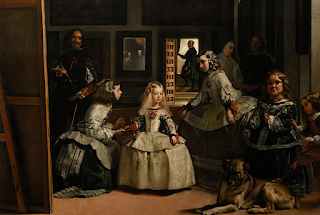 I spent a while reading through Foucault's essay - it's quite challenging and interesting to mark the lines of sight down on a printed copy of the painting. 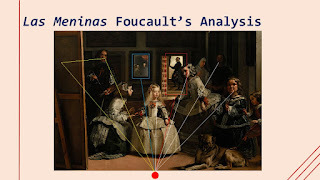 I had done it before, a good few years ago, now, when, as an undergraduate I was studying Foucault (I actually found my old printout of Las Meninas in the book itself). I started again, however, and worked through the first few sets of lines of sight, and colour coordinated them. I also marked in the text itself where they are explicitly defined by Foucault, and numbered them in order (although it is a little bit more complicated than that). Anyway, I have included the slides below (which in the original Powerpoint, are animated), in case anyone would like to see them (sadly my narrative that accompanies them is missing). 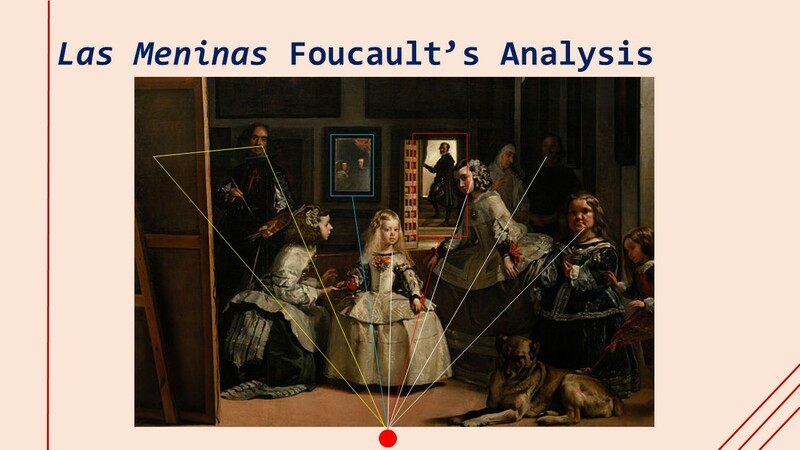 The first image shows the first few lines of sight that Foucault mentioned, including the triangle (see yellow). I've also highlighted some of the 'frames' he signifies as being important, and the lines of sight connected to them. The slide below includes the three significant 'positions' in the image, and what Foucault describes as the "three 'observing' functions [that] come together in a point exterior to the picture". I won't include 'the spoiler', but have a go at reading through the text and creating the lines yourself. It's a great read. You can also try and work on the spiralling lines that he mentions: "This spiral shell presents us with the entire circle of representation". I didn't include that as I was concerned about overwhelming the students. However, this was a breakthrough week for them and they definitely got it, as when I presented them with a Gucci advert to analyse in the workshop after the lecture, they did really well.